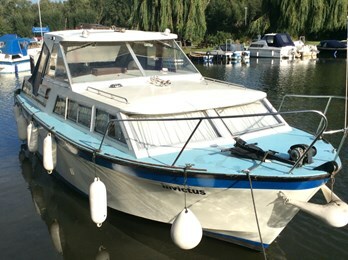 This model launched at the 1970 London Boat show, and proved an instant sale success. 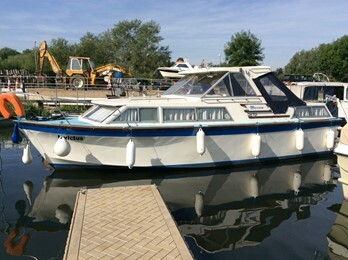 This large, wide beam aft cabin cruiser was noted for its generous accommodation, offering 6 berths. This design was created by John Welsh with a shallow V hull and three quarter length keel. Nearly 400 of these craft were built. Most craft were twin engined, although single engined versions were available to order. Typical shaft driven engines were Perkins 4.107 diesel, Thornycroft 2.5 litre diesel and a few Volvo Penta petrols.